The information about your company, its transactions, balances, budgets etc. are all held in a single document or file. Although in principle you can put this file anywhere on your hard drive, we recommend that you keep it somewhere that is easy to backup (the My Documents folder in Windows for example). MoneyWorks will start and the MoneyWorks Welcome window will be displayed (depending on your version, it may differ from the one below). This lists recently opened MoneyWorks files, giving you easy access to all your account files. If you have done the Tutorial, you will see the Acme file listed (if you haven’t, we strongly recommend that you click the Sample button and do it now). The Open buttons are used to open an existing document. The standard File Creation dialog box is displayed. You use this to indicate where you want the file placed on your hard drive, and what to call it. If you are not familiar with how this operates, see your Windows or Macintosh User Guide. Your “Documents” folder (or a folder inside it) is a good place. 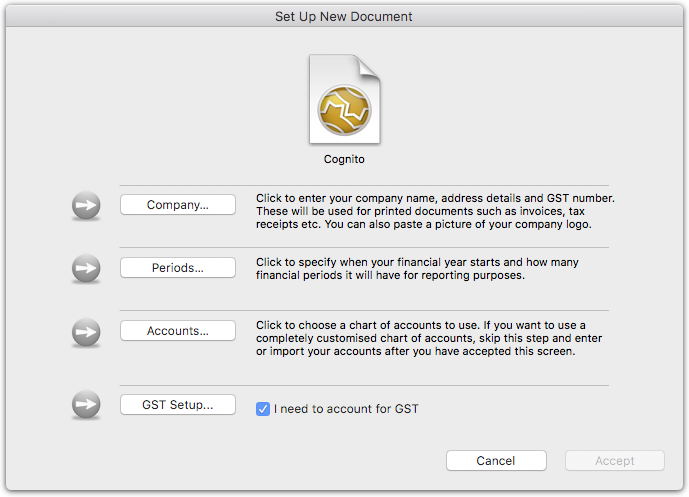 You should not place your document in the same folder as the MoneyWorks application—instead keep it somewhere where it will be easy to backup. The document will be created in the indicated location and with the given name. This may take a second or two. 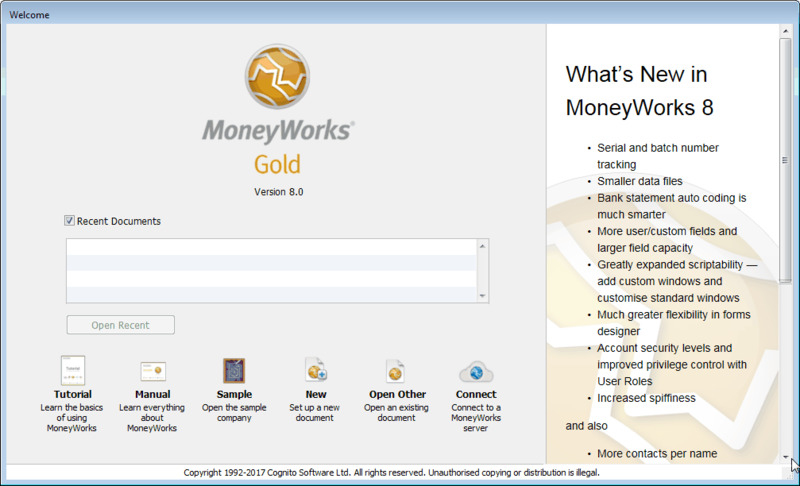 The MoneyWorks setup screen will be displayed.